The diversity of musical instruments in Vietnam is given birth by a multitude of 54 ethnic groups living within the actual borders. Please keep in mind that most of the instruments presented above are best experienced in their ensemble appearance rather than listening to them solo. Instrumental links to the divers singing traditions are missed and will have to be discussed in an forthcoming article. 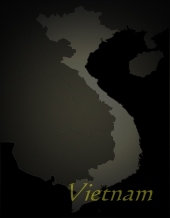 or check out the pages of the “Vietnamese Institute for Musicology” (VIM).